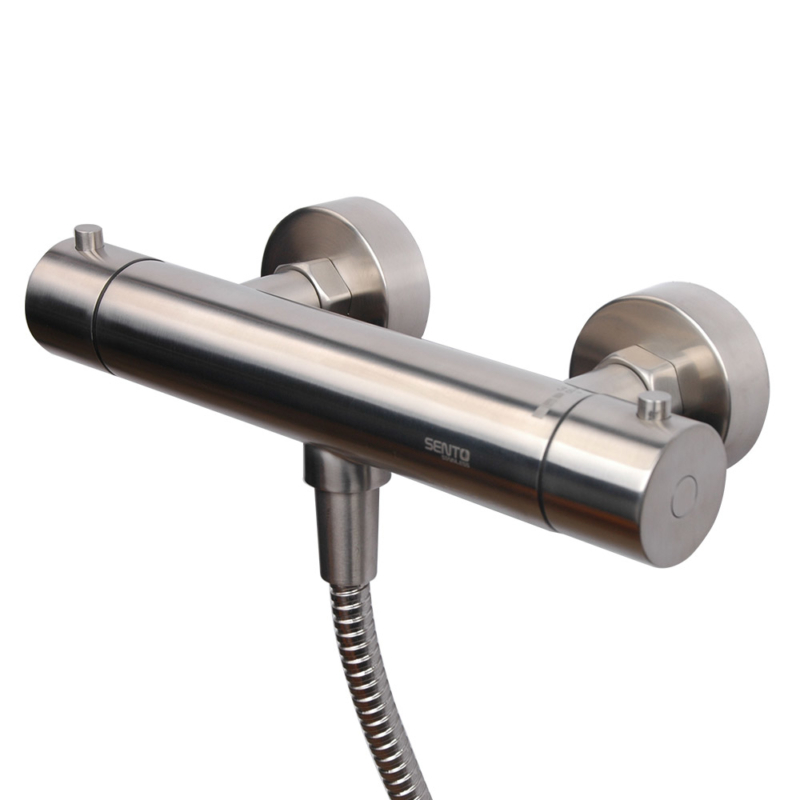 The high end thermostatic shower mixer tap contains anti scald valve to avoid high temperature shock and scalding to our body. 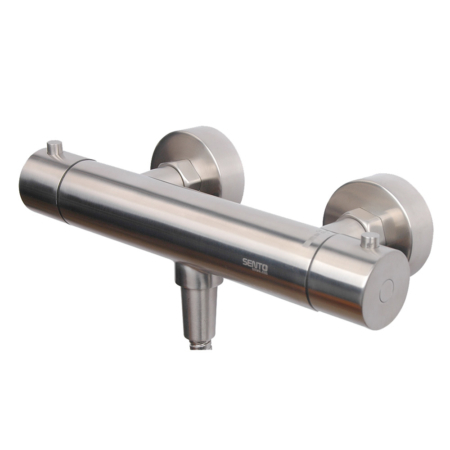 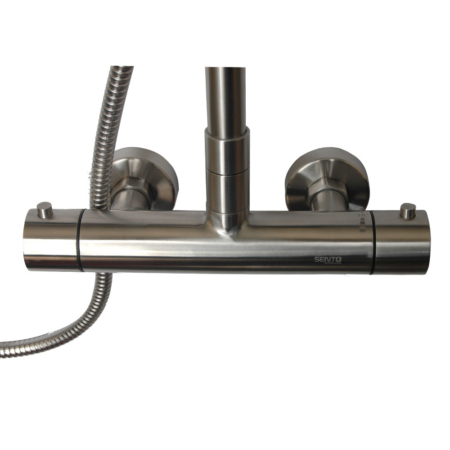 The version here is brushed solid stainless steel thermostatic shower mixer tap. 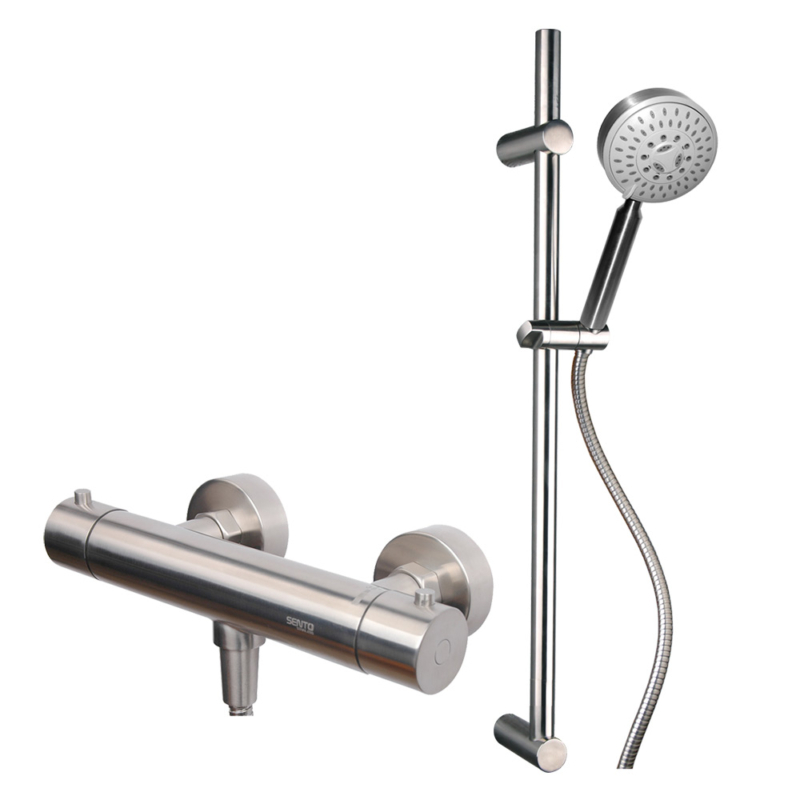 It consist of a shower thermostatic control valve and a slide bar and hand held shower sprayer. 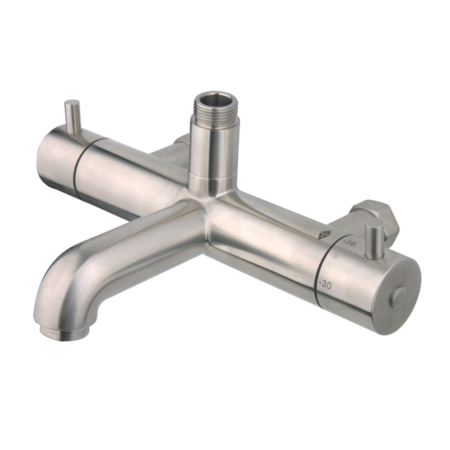 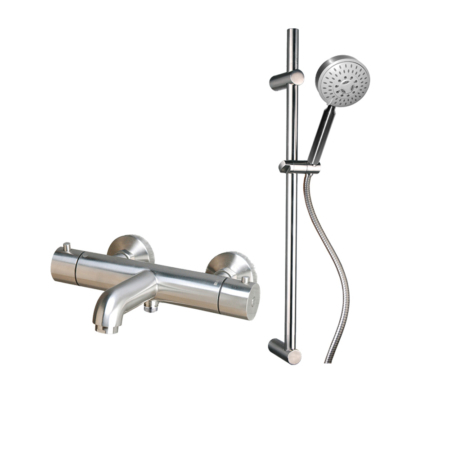 The stainless steel slide bar helps to adjust the height of shower easily and the hand shower can be fixed well in its stainless steel holder.